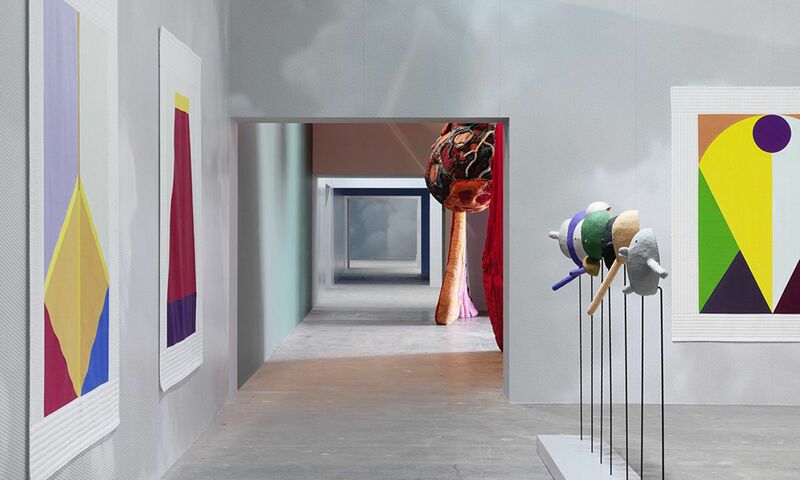 Brace yourselves, as we are in for a busy year ahead with major art exhibitions and events to visit all around the world, including at least 25 art biennales scheduled to happen at all four corners of the globe. These mega art exhibitions take place only once every two years, with the help of carefully chosen guest curators who decide on a theme to lead the exhibition’s direction. Rarely confined to an exhibition space, these biennales spread their roots throughout the city, creating a presence in parks, public spaces and multiple galleries. Hong Kyoung-han, an art critic who serves as the art director for GIB 2018, chose to confront the evils that are rampant in modern society to define the direction of this year's biennale. Image: Courtesy of Ai Wei Wei and Narodni Gallery Prague. This year's Biennale of Sydney will examine the state of ‘superposition’ by examining how it might operate in the world today. Bonus: to mark the opening of the Biennale, Ai Weiwei will appear in conversation with artistic director Mami Kataoka. Ok, we know this is a triennial, but it still deserves a spot on this list. The poetic theme of this year's New Museum Triennial questions how individuals and collectives around the world might effectively address the connection of images and culture to the forces that structure our society. A conversation with artists and contributors who think and act beyond art, as they confront the incessant anxieties perpetuated by a willful disregard for complex subjectivities. A discussion of a contemporary phenomenon in depth, wherein national and geopolitical borders are being reorganized after globalization. Curated by Marco Scotini, the exhibition will involve 15,000 square meters of museum space and other art settlements, including Hui Nongqu Eco-park and the International Artist Village of the River Origins. It intends to address urgent issues (environmental, social and cultural) not only for China but around the world. Featuring interpretations of joy and happiness, but also touching on socio-political and environmental issues that can lead to a distinct lack of bliss. Drawing from E. E. cummings's 1931 collection of W ViVa, peered through the lens of the late Zygmunt Bauman’s 2017 musings on a “retropia”, this theme touches on the age-old and ongoing exploration of our relationships with the past, with nostalgia, and how they define both our today and tomorrow.